Valium withdrawal symptoms start appearing within 72 hours of your last dose. Watch for the following symptoms. Also, you might feel other problems such as vomiting, high blood pressure, high heart rate and mood changes. The duration of the withdrawal can last up to about a month, and if you have any of these symptoms, you should find medical help right away. Valium, while one of the most commonly given sedative-hypnotics, it’s a drug with very high abuse potential. Therefore, the risk is even higher if you have a history of addiction or substance abuse. When you use it for more than four months in a row, there are greater chances that you will get addicted. The problem of addiction continues even after you stop the drug. A sudden discontinuation usually causes a set of unpleasant problems and withdrawal symptoms. Valium withdrawal is a very common condition and needs urgent medical attention and detox. 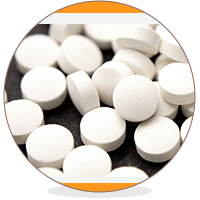 Continue reading to discover more about Valium addiction and its health effects. Withdrawal symptoms start showing within 72 hours of your last dose. Thus, symptoms go through various stages, and they may switch from strong cravings to serious problems. Because every person is different, and so is the genetics, the severity and duration of withdrawal can vary significantly. Also, doses and length of the therapy are the other factors. Withdrawal lasts for about a month or more. During this period, as your brain attempts to regain its normal status that was changed by use. Withdrawal is a very “bad” experience to those who are going through it. The power of the “experience” worsens in direct proportion to the level of abuse. However, you need to remember that Valium withdrawal can occur even though you have used it as directed. Watch for the following symptoms, and especially if you use Valium for more than four months. Also, you might also feel other distressful problems such as vomiting, high blood pressure and heart rate, and mood changes. As Valium starts to remove from the body, you will go through some symptoms that can leave you stressed and desperate for relief. The duration of the withdrawal is about a month and is divided into different parts. As a result, each step has a unique set of symptoms, which tend to fade after stopping the drug for some time. Acute Withdrawal Symptoms of Valium: These include unrest and stress which begin to show within 72 hours of stopping the medication. Thus, as the span of the drug-free state continues, the symptoms become even more intense. They reach their peak power in the second week of the withdrawal. Lastly, Loss of sleep increased sweating, and muscle aches are typical features of the acute peak phase. Subacute Stage of Valium Withdrawal: This period of withdrawal starts a month after the discontinuation. As a result, the symptoms are less intense and can be taken care of by standard measures. Chronic Stage: A fraction of the people who have abused Valium may have to bear the brunt even after years of quitting. Common solutions such as healthy food, physical exercises, increased fluid intake, and non-prescription pills for symptomatic relief may not always be enough to cure your condition. However, you should continue using them. In addition to the conventional remedies, you will need a specific addiction-targeted detox program to ensure a drug-free life. What are Your Valium Withdrawal Treatment Options? There are some ways you can resume a drug-free life. The selection of each option depends on the degree of abuse, the severity of symptoms, cost, and accessibility. Certain drugs might help you deal with the Valium withdrawal symptoms. However, it’s important only to use prescription drugs from a qualified doctor. Antidepressant medications: A specific class of mood-alleviating medications called Selective serotonin reuptake inhibitors (SSRIs) might be used to relieve withdrawal-associated anxiety. Medications for convulsion: These agents are particularly useful if you develop seizures during the withdrawal period. Also, your doctor may give other drugs after viewing your condition. For anyone going through the scary symptoms of Valium withdrawal, the only relief may seem to be the drug itself. But you need to keep your urges in check and look for a rational solution to your problem. Remember withdrawal is a sign of drug addiction which is a chronic disorder. Treatment of withdrawal requires a group effort from family, friends and healthcare experts. The role of your willpower and self-control are key to the success of a detox program. For a holistic treatment and regular follow-up care, you can show up to addiction centers. These centers have a skilled team dedicated to giving you all kinds of important services to help you get back to normal life. The team includes well trained and skilled physicians, counselors, psychologists, psychiatrists and auxiliary health care professionals. They all work together to design addiction treatment plans that are specific to your personal needs. Need Help? Talk to us; you are not alone. We can help you connect with the experts who have years of experience in treating the similar conditions.